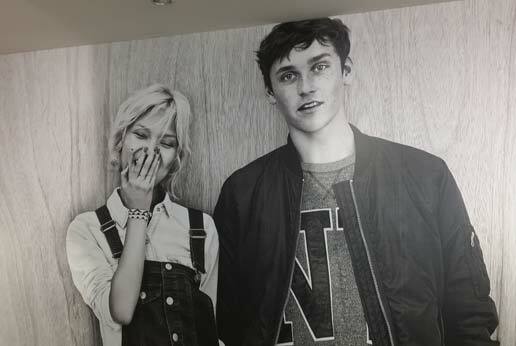 With our national retail graphic experience we work with some of the worlds leading brands, we regularly print and install reatail wall graphics for H&M stores. 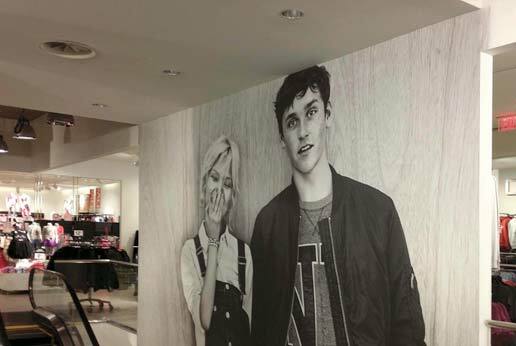 Using retail wall graphics is a perfect way to create lasting impressions in-store quickly and promote the latest season fashions from H&M. H&M has gone from a single women’s wear shop in Västerås, Sweden, to six different brands and 3,900 stores all around the world. H&M is known for sustainable fashion for all, always at the best price. To find out more about H&M, click here. 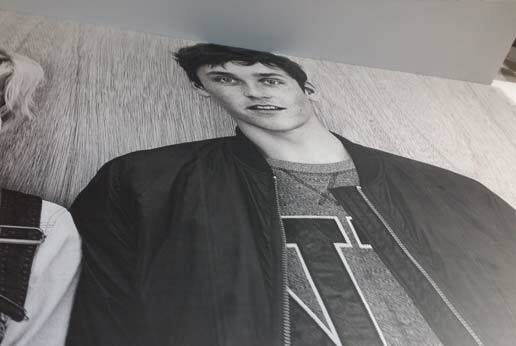 AGRetail print and install wall graphics and wall wraps for retail stores, architectural walls, office buildings, airports, shopping malls and sports facilities across North America, to find out more click here. We use AGretail's service for our new store barricades. They not only provide excellent service, delivered in a timely and professional manner, but have delivered solutions to improve our graphic installations. It is a pleasure working with AGRetail. They are reliable, prompt and great to work with. The products provided by AGRetail and The AmGraph Group are superior, and the service impeccable. AGRetail’s ability to execute a project request in such a timely manner is very consistent. Their client services, providing updates, and follow through is unsurpassed. AGRetail performed site analyses for Gelson’s Markets two newest locations, which helped us to decide how best to bring added excitement to our Grand Opening. Their designers used our style guide to present options which fitted with our branding and translated well to the store exteriors. October 24, 2017 I am a retailer – Do I need a Catalog? September 13, 2017 Retail Promotions – How Do I Run an Effective Retail Promotion? © 2019 AGRetail. All Rights Reserved. AGRetail is part of The AmGraph Group.